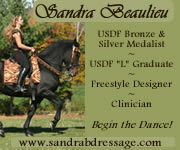 Thanks for your interest in listing on DressageMarket.com. In order to use this feature, please login to your account. If you do not have an existing account, please register-it's fast, easy and FREE! For questions concerning the login / registration process, please click here.